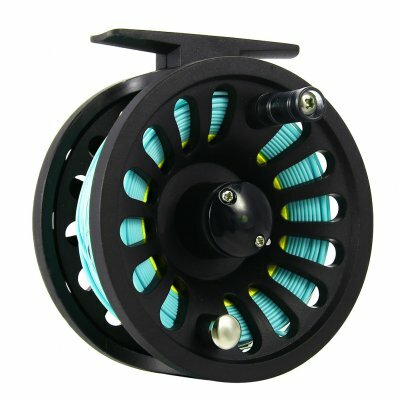 Successfully Added 1+1B Bearing Fly Fishing Reel Fishing Line + Extension Line+Taper Leader+Tippet Set Blue&Yellow to your Shopping Cart. The perfect combination of the fly fishing reel, fishing line , main line, aper leader, tippet go fishing. Design of high strength engineering plastics with non backlash. Ball bearing: 1+1BB super efficient sliding bearing.